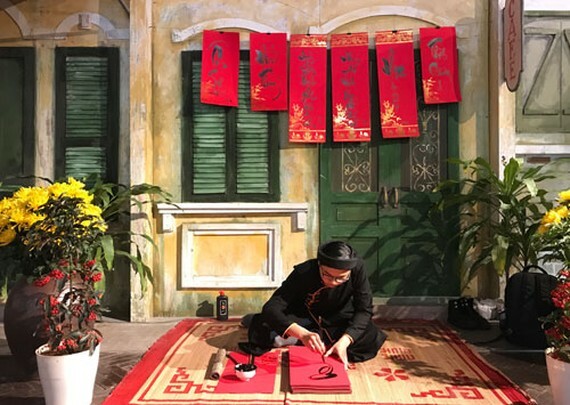 The event featuring a series of cultural activities will bring visitors forgotten cultural values in the days of Tet, such as Vietnamese customs and etiquette, folk and sport games, making banh chung (square sticky rice cake), dragon and kylin dance performance and others. There are also an exhibition of wood carving paintings by Henri Oger, photos and documents of the Albert Kahn Musée & Jardins in Boulogne-Billancourt, France; a display of Dong Ho, Hang Trong and Kim Hoang folk paintings. The organizer will also host the Ong Tao ritual (Kitchen God Day celebration), custom of planting a New Year tree or “Cay Neu” and incense offering on Tet holidays.